Back on Easter bank holiday weekend I attended a dressage clinic at Toberton Lodge. Now you are probably thinking sure that’s a good while ago, and it is but I figured it made sense to work on what we covered and see how it went before I wrote about it. 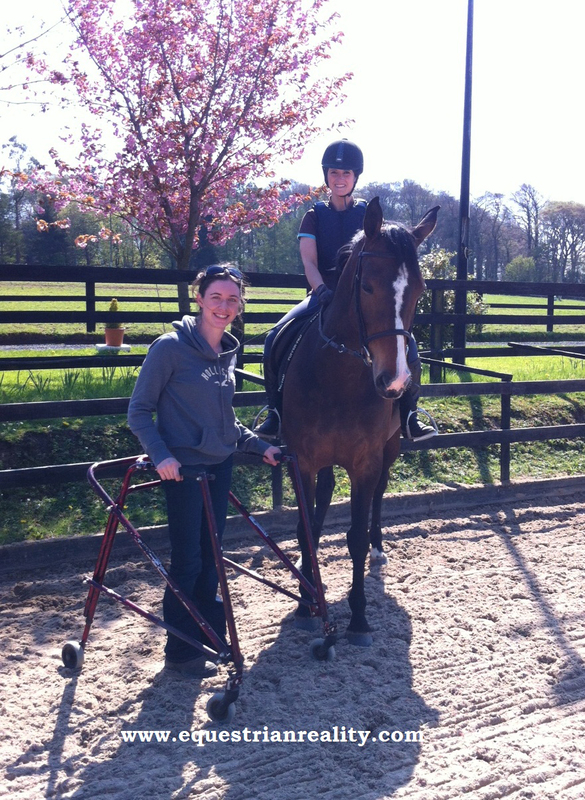 Our clinic was with Irelands equestrian Paralympic champion Helen Kearney. Helen is the great success story of the 2012 Paralympic Games taking home three medals across team and individual events. For me, I remember Helen from before then. I remember Helen back when she was a child and she came to ride at the yard where I ride and keep a horse. I remember her determination as she jumped her pony Robin and her will to succeed no matter what stood in her way. It was no surprise that these traits served her well at the 2012 games and when Helen returned to the yard to deliver one of her first coaching clinics in dressage I was keen to get in the ring. I had decided to ride two horses in the clinics in different sessions and first up was the little mare, a seven year old back in work since Christmas after a year off. While she has a soft mouth and rides in a natural shape I was keen to progress with her and to explore asking her to work in a lower outline. Helen watched us warm up and quickly picked up that the mare is at times inattentive and caring too much about what is going on outside and around the arena than about her work. She also noted how athletic and flexible the mare is, something that is great when it is working with you but tricky when you are educating her. Helen got me to ride in a circle and gradually ask the mare to stretch down to the lower frame in the same manner that I have learned to do with Dolly. Next we worked the mare in this lower outline pushing her up off my seat and leg and really getting her attention on her work. Trot came easy on the right rein but canter was more difficult. Left rein canter felt amazing. The mare dropped into a lower shape, started working through her back and just carried me along. I could have sat there all day. Having worked on the left rein successfully in canter I knew how I wanted it to feel on the right so we changed rein and I worked at it. Once I pushed her up into a softer inside hand we had it and we did a few laps of a lovely rolling canter. To finish we worked on varying the outline by moving from a lower outline to the competition outline and back again. As I have found with most horses, the little mare quite liked the lower outline and was not as consistent and steady in her head and mouth in the higher one. Helen encouraged me to help the mare to understand that she can go back down by riding half a circle lower and half a circle higher which really helped to build the consistency of her outline and her acceptance of the contact. We left the little mare at that and after lunch it was time for Dolly the big mare to have her turn. I had explained to Helen that the right rein canter has long been our nemesis in side saddle and dressage as the horse tends to fall in through her shoulder and then re-balance by flexing left leading to her quarters also falling in. It is a source of frustration for me as I have managed to school other horses out of similar problems but the usual solutions just were not working for this horse. We worked in and Helen quickly established that thanks to my recent Heike Holstein clinics the mare is very happy to ride in the low outline or the competition outline and works consistently in both. She also quickly saw how different our settled and balanced canter on the left rein is from our tense right rein canter. As a solution she suggested we try a different approach. Helen had me halt along the arena fence on the left rein and then ask for a flex to the right. I was then to ask the mare to move away from the fence with my right leg and then to ride a reverse shoulder in (keeping the mares head towards the fence) in walk. I halted, I flexed, I put my leg on, nothing happened. Tried again, horse reined back. Next time the horse moved away from the fence but bent her neck right. This was an eye opener. To be honest I had always just blamed my little short legs not being strong enough on the big wide horse to really push her off my right leg (which makes no sense in hindsight as I have ridden other large horses without the same problem). It became clear however that the horse simply didn’t understand the lateral leg aid and what response she should be giving. Helen also explained that the horse tends to bend rather than flex in lateral movements to make it easier for herself which in turn means she is not doing them correctly and is not doing the most important thing, stepping under with her off hind. We worked on this exercise for a while and gradually the horse started to move away from my right leg. We rewarded progress and asked for a few steps at a time before straightening up again. next Helen had me work on the right rein in walk in shoulder in. I will be the first to admit that I am not wonderful at shoulder in but after the recent clinic at Red Hills I had a bit more understanding of the aids. Helen worked with me on this and explained how to combat the mare over bending her neck and the importance of doing a little bit at a time and building up. I can safely say that despite riding most of my lesson in walk and trot I used some serious muscles! Six weeks later the news is very positive. After the clinic I started including the exercises we worked on in my daily routine with the horse. As we work I halt and do a little flex either side. I come back to walk and ask the mare to bend off the fence and I include some inside flexion and shoulder in as part of our flat work. Prior to the clinic the right rein canter in side saddle was something I dreaded as it was a challenge just to keep her on the track. Now, not only can we canter on the track, we can flex on the inside bend up the long side as we do it without the mare falling in. if I halt in the side saddle along the fence on the left rein and then use my weight aid and hip to ask the mare to move, she steps away from the track and will ride a quarter circle turn on the forehand. At the AIRC festival last week we attempted the long arena dressage. 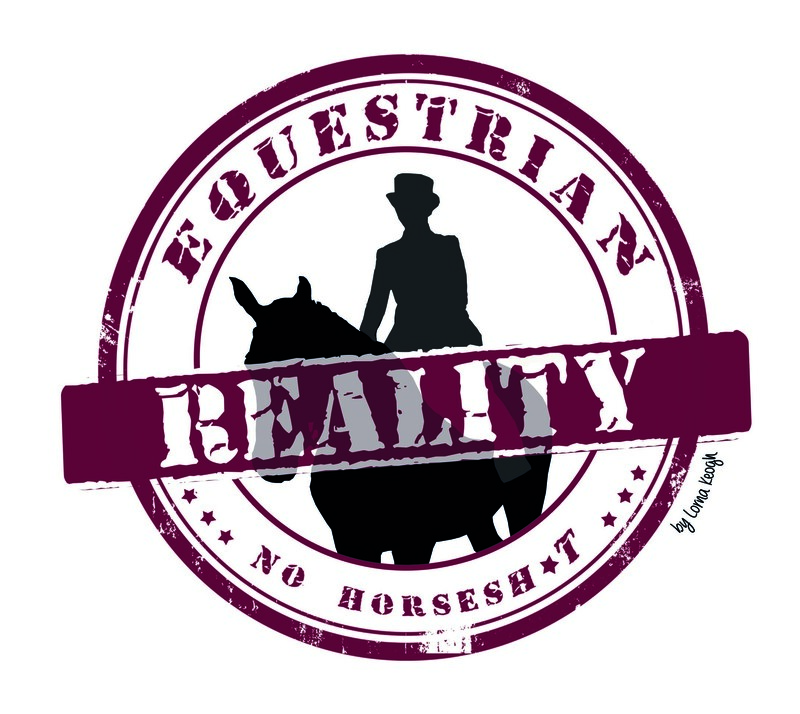 My test included a movement I would have dreaded before – a half canter circle at C, canter all the way around to V, across the diagonal to R, counter canter to M. As I cantered down the long side I kept my right leg working to keep her out and it worked. Not only did we get a high mark for this movement, despite one mistake on my part we scored over 71% and took fourth place in a strong class in our first dressage test in months. Both mares are competing successfully in showing and riding well for their riders and for judges. While I can still feel that the big mare, when she gets tense and anxious will revert to her tendency to hang on the right contact and avoid the left and will fall in, I am quicker and more effective at fixing this and I am confident that with repetition and time she will keep improving. All content produced on this site is my own original content. Please don’t reproduce without my prior permission. Posted on June 19, 2014, in Dressage, General, Side Saddle and tagged coaching, Dressage, dressage clinic, dressage exercises, Heike Holstein, Helen Kearney, horse riding in ireland, horse sport ireland, horses, HSI coaching, ireland, London paralympics, paralympic dressage, Paralympic games, paralympic games 2012, paralympics ireland, toberton lodge, toberton lodge riding school. Bookmark the permalink. 1 Comment. What an amazing learning opportunity & fab outcome. Love reading success stories like yours, encourages mere mortals like myself to keep plugging away & dream of clinic opportunities so that I could perhaps one day have a similar eye-opening/lightbulb moment. Congrats on your Festival dressage! Will there be a recap post?